If you are reading this page, you have come to the archive version of DRuGs previous web incarnation. Our new site can be reached at http://drugcrew.com - please update all references to DRuG such that they point to our new web. A big thanks goes out to [DRuG]Raider aka [DRuG]SpngBb aka Raff for not only this fantastic web, which has served us well for over a year, but also for our new home, which I suggest you go visit now to stay up to date with all the latest DRuG newz. 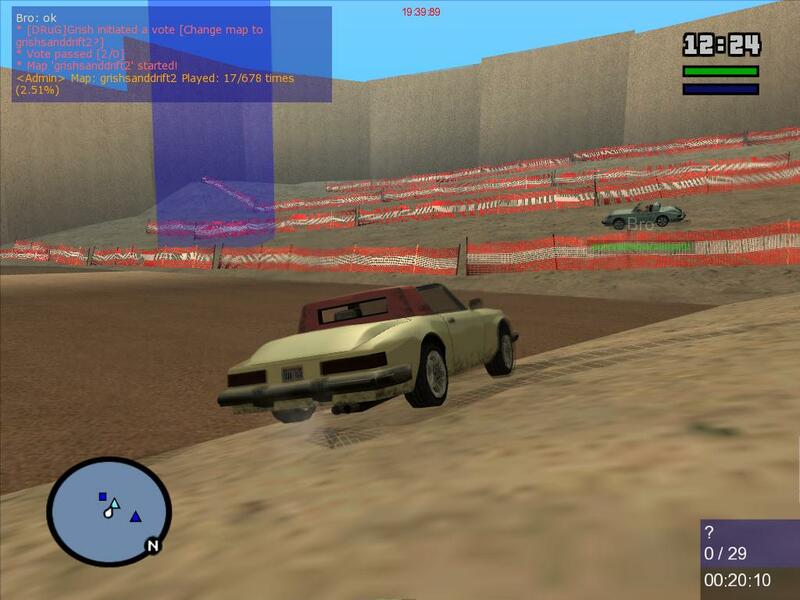 With the release of SA-MP's first public client/server last night, the world finally got a taste of real GTA multiplayer action. DRuG's new 32 player SA-MP server was almost full all night, with old and new members cruising Las Venturas in their (synched) pimped up rides. Get the client now at http://sa-mp.com. Though still running, the DRuG MTA server was mysteriously empty... at this stage we're leaving it up, but only time will tell how long. Both servers can be found by browsing the server list for the DRuG Official server. The last few weeks have seen Raider, Trix, NikT and the rest of the crew (in order of effort) putting a huge amount of work into getting our rewritten web site up and running -- expect the change-over in the next 24 hours... at this stage only the gallery remains for it to be complete. Please take time to ensure your member profile is up to date - old members - we still consider you part of DRuG, send any member pictures, screenshots or profile updates to nikt@drugcrew.com. 03 Apr 2006 07:18 pm = MTA map pack by Grish and SA-MP beta tests conclude. It's been an eventful few weeks, with lots of activity in DRuG since our last post. First of all, welcome to our newest member, [DRuG]Gneralas. Gneralas is an accomplished mapmaker in the MTA race scene and also Grish's brother.. one of several family teams in DRuG, it'll be great to have them working together with us - DRuG it up guys! Grish has released a map pack for MTA, including his popular new drift maps, they also feature some amusing tracks I categorize as "bomb not map" which prove for fast laughs and multiplayer surprises. 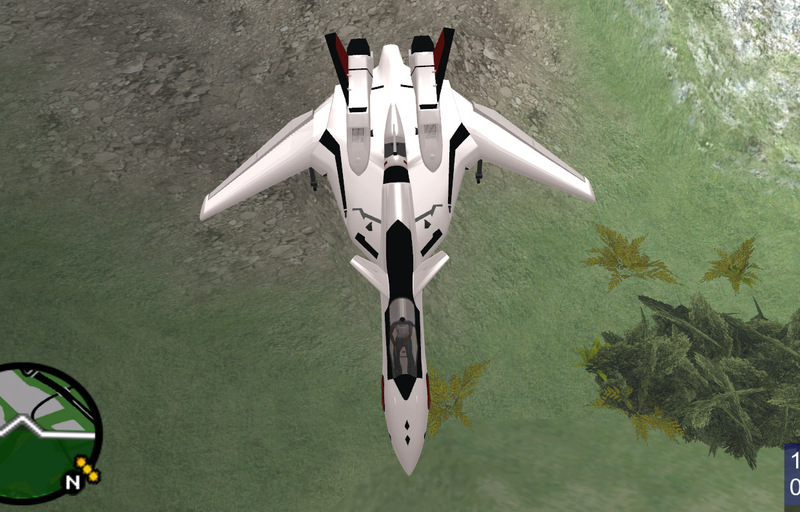 SA-MP public beta testing was carried out over the weekend, with results proving very positive. Free-roam multiplayer action has never looked so smooth, with synch of many things we've come not to expect from MTA, with SA-MP, one has to deal with flat tyres, car jacking and earning enough money to build a weapon stockpile. Judging from it's current stability and thorough development, expect a release very shortly with the first version being more complete and stable than other initial releases we've seen over time. 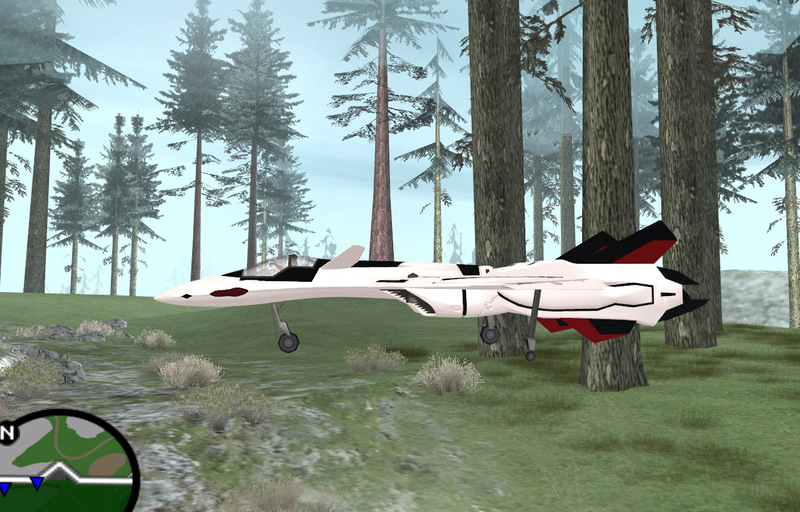 The Macross YF-19 jet for San Andreas. Converted from Bill Simon's lw3d object to a hydra replacement for San Andreas by [DRuG]NikT. Stay tuned for a total overhaul of the DRuG web, with the ability to submit new mods and many more features that will help to simplify updating and expansion of the DRuG database of mods. Welcome to our newest member, [DRuG]Grish - he's created some great maps for MTA San Andreas and also runs a popular server in the Oceania neck of the woods - I'll add your member bio soon mate. With the introduction of MTA San An, DRuG have set up a 24/7 server so we have somewhere to go en mass.. it's on a US host so the ping will be a bit higher for us, but it will take plenty of people before lagging on the checkpoints. Browsing the server list in MTA should show us as "Official DRuG low ping" or quick connect to kynox.be port 22003 - be sure to drop in or email us some maps! (just click my name below). From all at DRuG, we wish the modding and gaming scene a Merry Christmas and a Happy New Year. 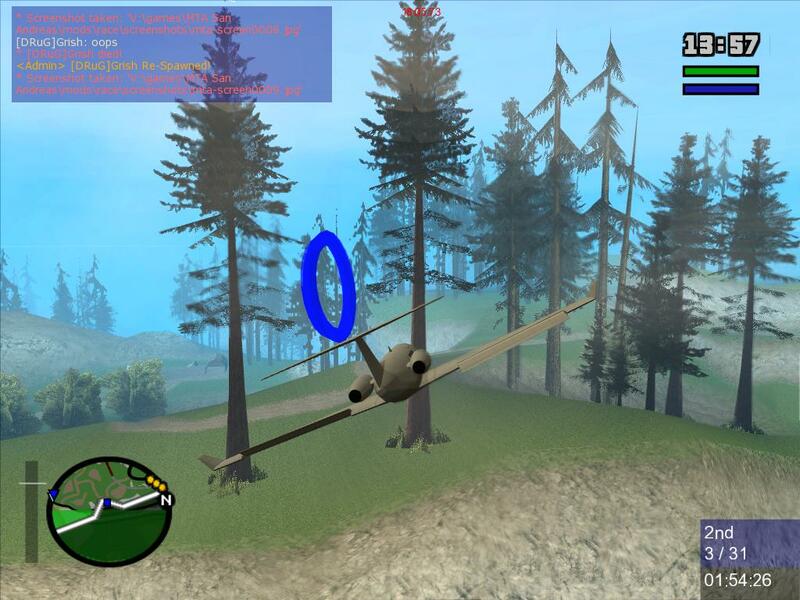 2005 will be known as the year of PC San Andreas, such a great game due to the fact it brought the scene together, bringing on new challenges and an array of interesting ideas. 2005 marked releases such as MTA 0.5 NoCRC, MTA 0.5 Encryption cracking, NikT's great fleet of San Andreas aircraft, SA Vehicle Spawner and even a Dalek. It was also great to see the crew span into other games such as FlatOut, Flight Sim and Trackmania. All up, thanks for making 2005 a great year, and we look forward to 2006.